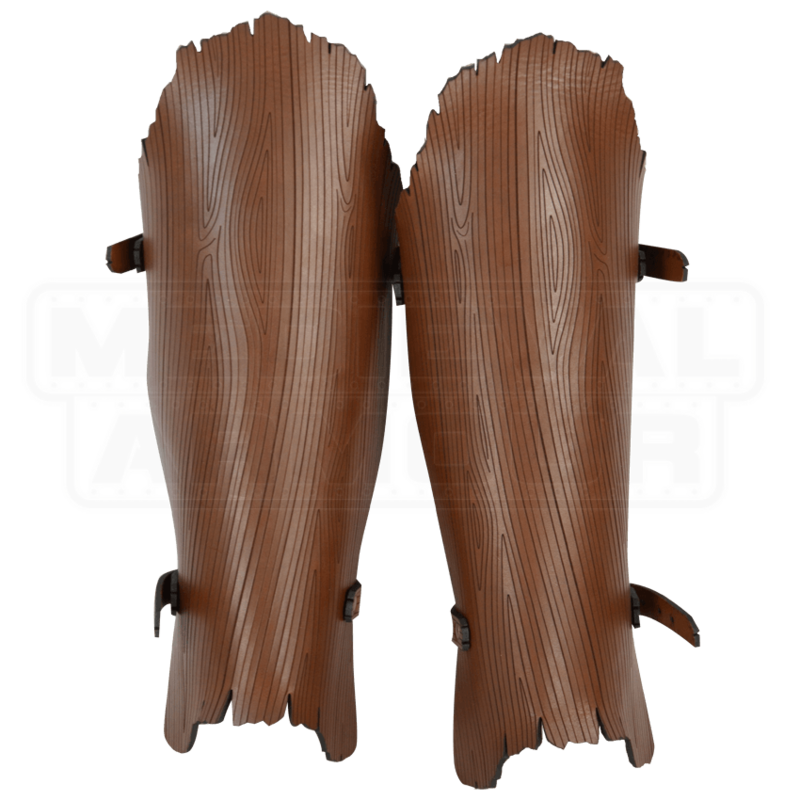 Featuring a richly engraved pattern emulating wood grain, the Woodland Warrior Greaves are the perfect way to complete your desired look of natural wonder as they protect your would be vulnerable legs from the attacks of your foes. Enhancing this exquisite woodland look the top and bottom edges are seemingly jagged to resemble the appearance of bark, while allowing for flexible foot movement and improved shin protection. 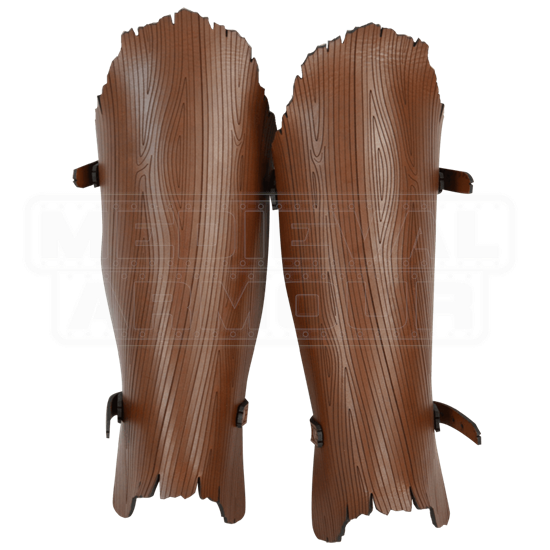 Medium brown 8/9 ounce leather and antique brass hardware are used to craft these greaves for extraordinarily durable construction. Two leather straps are used to attach them to your leg, one around the calf and the other the ankle. Embrace the arboreal appeal and protection of the Woodland Warrior Greaves and pair them with other armour from our woodland collection, like the Woodland Tree Bark Tassets (DK5254), to amplify their grandeur.